The conference will be held on November 11th-12th in St. Petersburg, Russia and have almost done with its agenda. This international event is held in second time and is called after nickname of the St. Petersburg, that is spelled in Russian as “Питер”. The topics are deeply technical, with no marketing and all build around the Linux ecosystem with the following subsections. First, there are 5 presentations related to Linux Kernel, including two talks regarding power management that is equally critical for embedded world and data centers. Second, it will be 3 topics related to Containers and Clusters. The highlights here are light virtualization overview and creation of simple industrial scale PaaS from the available Open Source components. Third, event has a couple of sessions dedicated to Embedded Systems with the detailed lecture regarding the modern debugger internals. Next, 3 topics about Network include simple and clever explanation of what does “bufferbloat” mean, and the latest trends in the Linux TCP/IP stack development. And in the end, there will be 3 presentations about DevOps and tools for performance management, together with admins tales. It is more than a month before the beginning of the conference and there are still a couple of free slots for cool presentations. 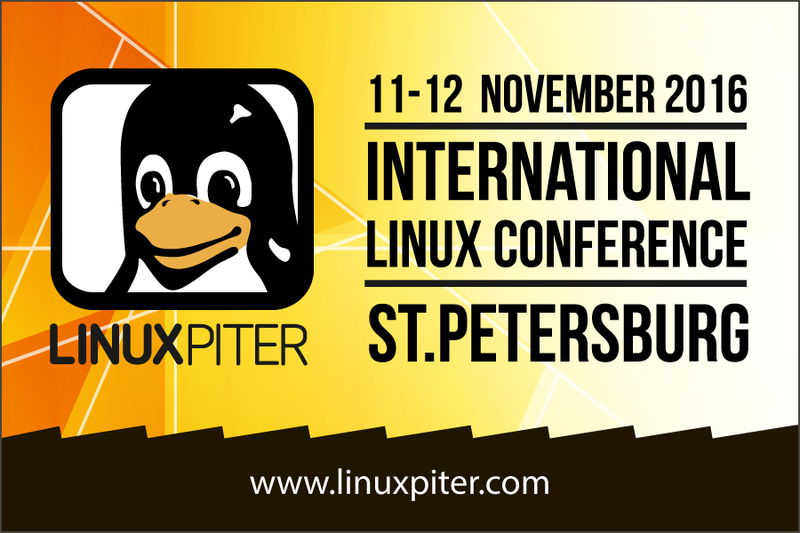 Organizers invite topics matching the conference (especially about Storage or Network) and would be happy to get an application to become a speaker on the conference website, www.linuxpiter.com.